Anna Mengart, was born in the province of Tver, near Moscow, in 1847. Her father, Paul Mengart, was a Russian nobleman with extensive estates. According to George Kennan, the author of Siberia and the Exile System (1891): "She was carefully educated under the direction of her mother, a cultured and deeply religious woman, and at the early age of eighteen or nineteen she was married to a Swiss gentleman residing in Russia named Victor Korba. Her beauty and accomplishments made her greatly sought after in society, her husband was wealthy and was proud of her social success, and for a time she lived the life of a woman of the great world." In 1869 a school for the higher education of the daughters of the nobility was opened in St. Petersburg. Anna Korba immediately enrolled as a student, with the long-term objective of studying medicine in Zurich. The following year her husband's business failed and she was forced to abandon her plans to become a doctor. The couple now moved to Minsk where he obtained employment. Anna took a keen interest in the lives of the poor and she founded a society that raised funds for the purpose of promoting education for men and women who could not afford the fees. During the next few years she was the president of this society. On the outbreak of the Russo-Turkish War in 1877 Korba became a nurse in a hospital treating wounded Russian soldiers. Soon afterwards she joined the International Association of the Red Cross and went to the front where she served in a Russian field-hospital. George Kennan argues: "Her experience had a marked and permanent effect upon her character. She became an enthusiastic lover and admirer of the common Russian peasant, who bears upon his weary shoulders the whole burden of the Russian state, but who is cheated, robbed, and oppressed, even while fighting the battles of his country. She determined to devote the remainder of her life to the education and the emancipation of this oppressed class of the Russian people." Anna Korba was radicalized by this experience and on her return from Rumania she distributed political propaganda with other radicals such as her former school friend, Sophia Perovskaya. During this period she read the works of Karl Marx and Ferdinand Lassalle. The historian, Cathy Porter, has pointed out: "Anna Korba... had been in Rumania for the entire course of the Russo-Turkish War, and after two years of evacuating and nursing soldiers on the front she had no sympathy for terrorism. She wanted above all to contact the kind of revolutionary groups in which she had moved so freely as a student. Now, at the age of twenty-nine, she felt out of place with the flamboyant young revolutionaries. Two years earlier she had been reading Dostoyevsky and Uspensky; now she read Lassalle and Marx; but she still clung to the old Slavophil traditions, and started going to Slavophil discussion groups in which she tried to urge prominent writers like Kireevsky, Khomyakov and Samarin to take some political stand in their writing. Although her two years on the battlefield had been a radicalizing experience, Anna had no real political direction." Her biographer, George Kennan, has argued: "Her experience had a marked and permanent effect upon her character. She became an enthusiastic lover and admirer of the common Russian peasant, who bears upon his weary shoulders the whole burden of the Russian state, but who is cheated, robbed, and oppressed, even while fighting the battles of his country. She determined to devote the remainder of her life to the education and the emancipation of this oppressed class of the Russian people." 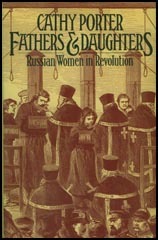 Mikhail Bakunin and Sergi Nechayev published the book Catechism of a Revolutionist. It included the famous passage: "The Revolutionist is a doomed man. He has no private interests, no affairs, sentiments, ties, property nor even a name of his own. His entire being is devoured by one purpose, one thought, one passion - the revolution. Heart and soul, not merely by word but by deed, he has severed every link with the social order and with the entire civilized world; with the laws, good manners, conventions, and morality of that world. He is its merciless enemy and continues to inhabit it with only one purpose - to destroy it." The book had a great impact on young Russians and in 1876 the group Land and Liberty was formed. Anna Korba was one of its first members. Most of the group shared Bakunin's anarchist views and demanded that Russia's land should be handed over to the peasants and the State should be destroyed. The historian, Adam Bruno Ulam, has argued: "This Party, which commemorated in its name the revolutionary grouping of the early sixties, was soon split up by quarrels about its attitude toward terror. The professed aim, the continued agitation among the peasants, grew more and more fruitless." In October, 1879, the Land and Liberty split into two factions. The majority of members, who favoured a policy of terrorism, established the People's Will (Narodnaya Volya). Others, such as George Plekhanov formed Black Repartition, a group that rejected terrorism and supported a socialist propaganda campaign among workers and peasants. Elizabeth Kovalskaia was one of those who rejected the ideas of the People's Will: "Firmly convinced that only the people themselves could carry out a socialist revolution and that terror directed at the centre of the state (such as the People's Will advocated) would bring - at best - only a wishy-washy constitution which would in turn strengthen the Russian bourgeoisie, I joined Black Repartition, which had retained the old Land and Liberty program." Anna Korba, Vera Figner, Andrei Zhelyabov, Timofei Mikhailov, Lev Tikhomirov, Mikhail Frolenko, Grigory Isaev, Sophia Perovskaya, Nikolai Sablin, Ignatei Grinevitski, Nikolai Kibalchich, Nikolai Rysakov, Anna Yakimova, Tatiana Lebedeva and Alexander Kviatkovsky all joined the People's Will. Figner later recalled: "We divided up the printing plant and the funds - which were in fact mostly in the form of mere promises and hopes... And as our primary aim was to substitute the will of the people for the will of one individual, we chose the name Narodnaya Volya for the new Party." Korba was elected on to the Executive Committee of the organization. Soon afterwards the People's Will decided to assassinate Alexander II. 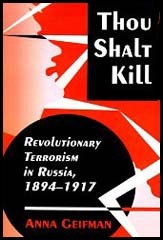 According to the historian, Joel Carmichael: "Although this populist organization retained the same humane vocabulary - revolving around socialism, faith in the people, the overthrow of the autocracy, and democratic representation - its sole objective was, in fact, the murder of the tsar. The preparation for this demanded boundless zeal, painstaking diligence, and great personal daring. In fact, the idealism of these young assassins was perhaps the most impressive thing about the whole populist movement. Though a few populist leaders were of peasant origin, most were drawn from the intelligentsia of the upper and middle classes. The motives of the latter were quite impersonal ; one of the things that baffled the police in stamping out the movement - in which they never succeeded - was just this combination of zeal and selflessness. The actual membership of the populist societies was relatively small. But their ideas attracted wide support, even in the topmost circles of the bureaucracy and, for that matter, in the security police as well. The upper-class origins of many of the revolutionaries meant a source of funds; many idealists donated their entire fortunes to the movement." A directive committee was formed consisting of Andrei Zhelyabov, Timofei Mikhailov, Lev Tikhomirov, Mikhail Frolenko, Vera Figner, Sophia Perovskaya and Anna Yakimova. Zhelyabov was considered the leader of the group. However, Figner considered him to be overbearing and lacking in depth: "He had not suffered enough. For him all was hope and light." Zhelyabov had a magnetic personality and had a reputation for exerting a strong influence over women. Zhelyabov and Perovskaya attempted to use nitroglycerine to destroy the Tsar train. However, the terrorist miscalculated and it destroyed another train instead. An attempt the blow up the Kamenny Bridge in St. Petersburg as the Tsar was passing over it was also unsuccessful. Figner blamed Zhelyabov for these failures but others in the group felt he had been unlucky rather than incompetent. The People's Will became increasingly angry at the failure of the Russian government to announce details of the new constitution. They therefore began to make plans for another assassination attempt. Those involved in the plot included Sophia Perovskaya, Andrei Zhelyabov, Vera Figner, Anna Yakimova, Grigory Isaev, Gesia Gelfman, Nikolai Sablin, Ignatei Grinevitski, Nikolai Kibalchich, Nikolai Rysakov, Mikhail Frolenko, Timofei Mikhailov, Tatiana Lebedeva and Alexander Kviatkovsky. Isaev and Yakimova were commissioned to prepare the bombs that were needed to kill the Tsar. Isaev made some technical error and a bomb went off badly damaging his right hand. Yakimova took him to hospital, where she watched over his bed to prevent him from incriminating himself in his delirium. As soon as he regained consciousness he insisted on leaving, although he was now missing three fingers of his right hand. He was unable to continue working and Yakimova now had sole responsibility for preparing the bombs. It was discovered that every Sunday the Tsar took a drive along Malaya Sadovaya Street. It was decided that this was a suitable place to attack. Yakimova was given the task of renting a flat in the street. Gesia Gelfman had a flat on Telezhnaya Street and this became the headquarters of the assassins whereas the home of Vera Figner was used as an explosives workshop. The Okhrana discovered that their was a plot to kill Alexander II. One of their leaders, Andrei Zhelyabov, was arrested on 28th February, 1881, but refused to provide any information on the conspiracy. He confidently told the police that nothing they could do would save the life of the Tsar. Alexander Kviatkovsky, another member of the assassination team, was arrested soon afterwards. The conspirators decided to make their attack on 1st March, 1881. Sophia Perovskaya was worried that the Tsar would now change his route for his Sunday drive. She therefore gave the orders for bombers to he placed along the Ekaterinsky Canal. Grigory Isaev had laid a mine on Malaya Sadovaya Street and Anna Yakimova was to watch from the window of her flat and when she saw the carriage approaching give the signal to Mikhail Frolenko. Tsar Alexander II decided to travel along the Ekaterinsky Canal. An armed Cossack sat with the coach-driver and another six Cossacks followed on horseback. Behind them came a group of police officers in sledges. Perovskaya, who was stationed at the intersection between the two routes, gave the signal to Nikolai Rysakov and Timofei Mikhailov to throw their bombs at the Tsar's carriage. The bombs missed the carriage and instead landed amongst the Cossacks. The Tsar was unhurt but insisted on getting out of the carriage to check the condition of the injured men. While he was standing with the wounded Cossacks another terrorist, Ignatei Grinevitski, threw his bomb. Alexander was killed instantly and the explosion was so great that Grinevitski also died from the bomb blast. The evening after the assassination the Executive Committee of the People's Will sent an open letter announcing it was willing to negotiate with the authorities: "The inevitable alternatives are revolution or a voluntary transfer of power to the people. We turn to you as a citizen and a man of honour, and we demand: (i) amnesty for all political prisoners, (ii) the summoning of a representative assembly of the whole nation". Karl Marx was one of many radicals who sent a message of support after the publication of the letter. Nikolai Rysakov, one of the bombers was arrested at the scene of the crime. Sophia Perovskaya told her comrades: "I know Rysakov and he will say nothing." However, Rysakov was tortured by the Okhrana and was forced to give information on the other conspirators. The following day the police raided the flat being used by the terrorists. Gesia Gelfman was arrested but Nikolai Sablin committed suicide before he could be taken alive. Soon afterwards, Timofei Mikhailov, walked into the trap and was arrested. Thousands of Cossacks were sent into St. Petersburg and roadblocks were set up, and all routes out of the city were barred. An arrest warrant was issued for Sophia Perovskaya. Her bodyguard, Tyrkov, claimed that she seemed to have "lost her mind" and refused to try and escape from the city. According to Tyrkov, her main concern was to develop a plan to rescue Andrei Zhelyabov from prison. She became depressed when on the 3rd March, the newspapers reported that Zhelyabov had claimed full responsibility for the assassination and therefore signing his own death warrant. Perovskaya was arrested while walking along the Nevsky Prospect on 10th March. Later that month Nikolai Kibalchich, Grigory Isaev and Mikhail Frolenko were also arrested. However, other members of the conspiracy, including Vera Figner and Anna Yakimova, managed to escape from the city. Perovskaya was interrogated by Vyacheslav Plehve, the Director of the Police Department. She admitted her involvement in the assassination but refused to name any of her fellow conspirators. The trial of Zhelyabov, Perovskaya, Kibalchich, Rysakov, Helfman and Mikhailov, opened on 25th March, 1881. Prosecutor Muraviev read his immensely long speech that included the passage: "Cast out by men, accursed of their country, may they answer for their crimes before Almighty God! But peace and calm will be restored. Russia, humbling herself before the Will of that Providence which has led her through so sore a burning faith in her glorious future." Sophia Perovskaya, Andrei Zhelyabov, Nikolai Kibalchich, Nikolai Rysakov, Gesia Gelfman and Timofei Mikhailov were all sentenced to death. Gelfman announced she was four months pregnant and it was decided to postpone her execution. Perovskaya, as a member of the high nobility, she could appeal against her sentence, however, she refused to do this. It was claimed that Rysakov had gone insane during interrogation. Kibalchich also showed signs that he was mentally unbalanced and talked constantly about a flying machine he had invented. Zhelyabov, Perovskaya, Kibalchich, Rysakov and Mikhailov were executed on 3rd April, 1881. Gesia Gelfman remained in prison. According to her friend, Olga Liubatovich: "Gesia languished under the threat of execution for five months; finally her sentence was commuted, just before she was to deliver. At the hands of the authorities, the terrible act of childbirth became a case of torture unprecedented in human history. For the delivery, they transferred her to the House of Detention. The torments suffered by poor Gesia Gelfman exceeded those dreamed up by the executioners of the Middle Ages; but Gesia didn't go mad - her constitution was too strong. The child was born live, and she was even able to nurse it." Soon after she gave birth her daughter was taken from her. Gelfman died five days later on 12th October, 1882. Anna Yakimova, who was also pregnant, probably by Grigory Isaev, managed to escape to Kiev. She was soon arrested and she was tried alongside Isaev, Mikhail Frolenko, Tatiana Lebedeva and sixteen other party members. Although they were all found guilty, because of the international protests by Victor Hugo and other well-known figures, they were not sentenced to death. Instead they were sent to Trubetskov Dungeon. Anna Korba was arrested on 5th June, 1882. At her trial Korba argued: "Gentlemen-Senators, you are well acquainted with the fundamental laws of the Russian Empire. You are aware that no one has a right to advocate any change in the existing imperial form of Government, or even think of such a thing. Merely to present to the Crown a collective petition is forbidden - and yet the country is growing, and developing, the conditions of social life are becoming day by day more and more complicated, and the moment approaches when the Russian people will burst through the barriers from which there is no exit... The historical task set before the party of the Will of the People is to widen these barriers and to obtain for Russia independence and freedom. The means for the attainment of these objects depend directly upon the Government. We do not adhere obstinately to terrorism. The hand that is raised to strike will instantly fall if the Government will change the political conditions of life. Our party has patriotic self-control enough not to take revenge for its bleeding wounds; but, unless it prove false to the Russian people, it cannot lay down its arms until it has conquered for that people freedom and well-being." She was found guilty and sent to the Kara Prison Mines. Other revolutionaries at the camp included Catherine Breshkovskaya, Anna Yakimova and Tatiana Lebedeva. Yakimova and Lebedeva had just survived a two years march from Trubetskov Dungeon to Kara. Yakimova was twenty-five years old by the time she reached the prison mines. Lepedeva, three years older, was in a poor state of health and was described as a "semi-blind, shaven-headed, prematurely aged cripple". Despite being cared for by Korba she died in 1887, aged 34. Anna Korba was released from prison in 1902 and continued to carry out propaganda work until the Russian Revolution. She died in 1930. In 1870 her husband failed in business: she was forced to abandon the hope of finishing her collegiate training abroad, and a short time afterward went with her husband to reside in the small provincial town of Minsk, where he had obtained employment. Here she began her career of public activity by organizing a society and raising a fund for the purpose of promoting popular education and aiding poor students in the universities. Of this society she was the president. In 1877 the Russo-Turkish War broke out, and opened to her ardent and generous nature a new field of benevolent activity. As soon as wounded Russian soldiers began to come back from Bulgaria, she went into the hospitals of Minsk as a Sister of Mercy, and a short time afterward put on the uniform of the International Association of the Red Cross, and went to the front and took a position as a Red Cross nurse in a Russian field-hospital beyond the Danube. She was then hardly twenty-seven years of age. What she saw and what she suffered in the course of that terrible Russo-Turkish campaign can be imagined by those who have seen the paintings of the Russian artist Vereshchagin. Her experience had a marked and permanent effect upon her character. She became an enthusiastic lover and admirer of the common Russian peasant, who bears upon his weary shoulders the whole burden of the Russian state, but who is cheated, robbed, and oppressed, even while fighting the battles of his country. She determined to devote the remainder of her life to the education and the emancipation of this oppressed class of the Russian people. At the close of the war she returned to Russia, but was almost immediately prostrated by typhus fever contracted in an overcrowded hospital. After a long and dangerous illness she finally recovered, and began the task that she had set herself; but she was opposed and thwarted at every step by the police and the bureaucratic officials who were interested in maintaining the existing state of things, and she gradually became convinced that before much could be done to improve the condition of the common people the Government must be overthrown. She soon afterward became a revolutionist, joined the party of "The Will of the People," and participated actively in all the attempts that were made between 1879 and 1882 to overthrow the autocracy and establish a constitutional form of government. For Anna Korba, who had returned to St Petersburg the previous May, there seemed no way of contacting revolutionary circles. She had been in Rumania for the entire course of the Russo-Turkish War, and after two years of evacuating and nursing soldiers on the front she had no sympathy for terrorism. She wanted above all to contact the kind of revolutionary groups in which she had moved so freely as a student. Now, at the age of twenty-nine, she felt out of place with the flamboyant young revolutionaries. Two years earlier she had been reading Dostoyevsky and Uspensky; now she read Lassalle and Marx; but she still clung to the old Slavophil traditions, and started going to Slavophil discussion groups in which she tried to urge prominent writers like Kireevsky, Khomyakov and Samarin to take some political stand in their writing. Although her two years on the battlefield had been a radicalizing experience, Anna had no real political direction. She decided to attend fel'dsher courses in the hope of meeting radical students, but her heart was not in it and she brooded endlessly about her political inactivity. Then in August came Mezentsev's assassination, and for her this was the 'turning-point'. It became easier now to attend meetings and her chief concern was that the Party should use the radical journals as a forum for its views, not so much in order to convert journalists to the cause, but to use all available literary channels to increase the influence of revolutionary politics. The historical task set before the party of the Will of the People is to widen these barriers and to obtain for Russia independence and freedom. The means for the attainment of these objects depend directly upon the Government. We do not adhere obstinately to terrorism. The hand that is raised to strike will instantly fall if the Government will change the political conditions of life. Our party has patriotic self-control enough not to take revenge for its bleeding wounds; but, unless it prove false to the Russian people, it cannot lay down its arms until it has conquered for that people freedom and well-being. As a proof that the aims of our party are wholly peaceful, I beg you to read the letter written to Alexander III soon after the Ist of March. You will see from it that we desire only reforms, but reforms that shall be sincere, complete, and vital.